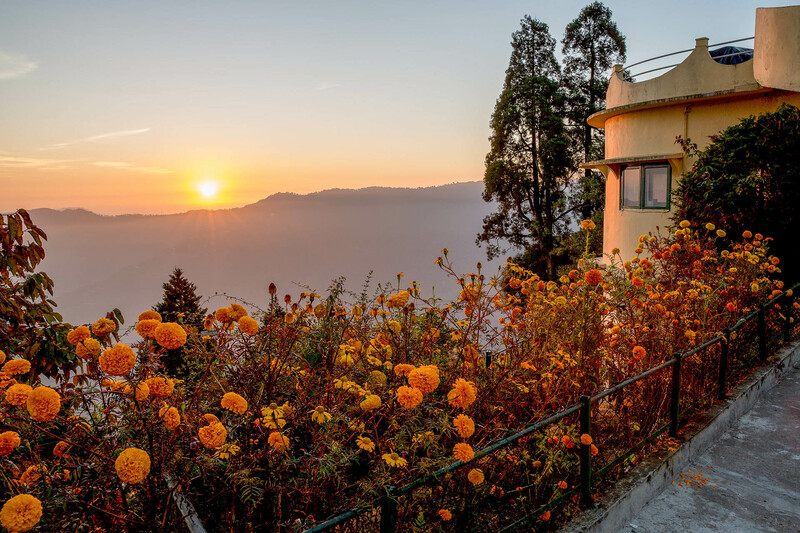 I was staying unexpectedly at the Windamere Hotel in Darjeeling after a very long road trip and aborted attempt to get into Sikkim. Things were not going well. On the first morning, I woke up early and looked out of the window, grabbed my camera, rushed outside and just managed to catch the sun rising over the mountains with the marigolds glowing in the foreground. I knew then that everything was going to be alright.